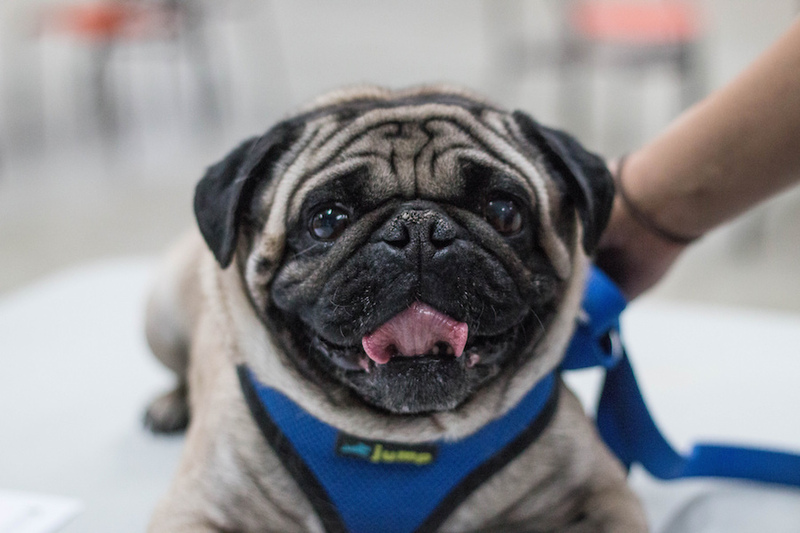 Napuk the pug at the La Ronge wellness and spay/neuter clinic. Photo by Caitlin Taylor. With the closest veterinarian living 250 kilometres away, this northern community was missing access to essential veterinary services. That situation changed in 2014, when members of the community teamed up with WCVM and Northern Animal Rescue (NAR) to offer a three-day, bi-annual remote clinic to the town and surrounding area. Caitlin Taylor of Saskatoon, Sask., WCVM’s summer research communications intern, documented the clinic’s activities over the course of the weekend, held at La Ronge's Mel Hegland Uniplex. Her photo essay can be viewed at WCVM Today.